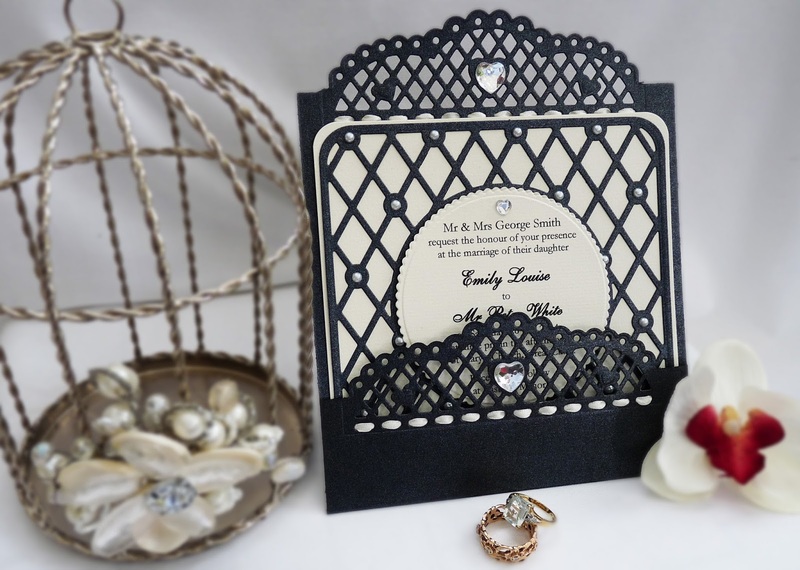 Tonic Studios Ornate Elegance Header Dies are well named, as I used the lattice-style header to create this modern, chic Pocketfold Wedding Invitation, do you like it? I know that black may not be everyone's choice as a wedding accent colour, but it does make a very striking invitation set. However, this style could be created in more traditional wedding colours quite easily. I have more details and photos on this wedding invitation set over my own blog DipsDesigns.com, please do pop over for a look.